Part of the Cali Davis Dynasty Ohana Ben joins Menehunes down South. Ryan is one of the veterans on this team. He was a part of every championship team. He hit numerous big shoots to tie up the game, send it into overtime, or game winners/buzzer beaters! He does whatever it takes to win and is a true team player. He is also in contention to having the most Air Jordan shoes on the team. Jimmy Miyasaka is his rival for that one. Menehunes is blessed to have a guy like Ryan. Total: 24 Championships with the Menehunes. Ron is one of the hardest workers out there on the court. Ron has a nice touch from the outside but is also quick enough to get the the rim. Ron brings a toughness on the defensive end as well. 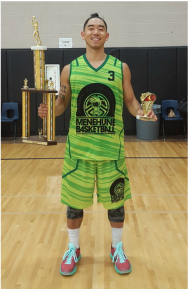 We are happy to have Ron join the Menehunes Ohana and are looking forward to have him be apart of more tournament and league Menehunes teams. 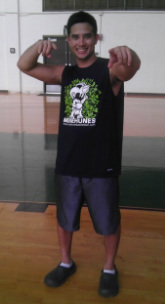 Also look out for Menehune Basketball supporter Arvee Espido, Ron's wife out there on the stands! Sean is one of the nicest and most positive leaders out there in the Asian Basketball world that fits right in with the Menehunes Ohana. Sean is the leader of Northern California powerhouse Davis Dynasty who competes in AA/A+ tournaments all over. 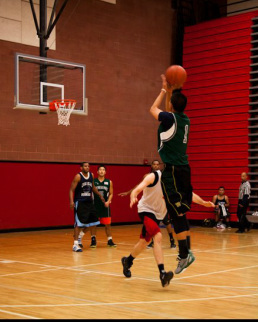 He leads them in the Chinese nationals as well as other various Asian American Basketball tournaments in California. It is great to have the collaboration of Menehunes and Davis Dynasty. Sean helped the Menehunes win there first Sacramento Barons Tournament Championship. Pete brings an inside presence to the Menehunes. He can also stretch the floor with his jump shot but can also take the it strong to the basket. Pete is a great addition to this team and is a hard worker on the court. Pete is also a veteran out there and it shows with his basketball IQ for the game. 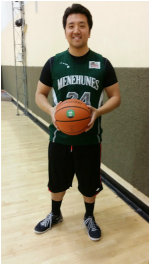 Look out for Pete as he joins the Menehunes team for league and tournaments to come. 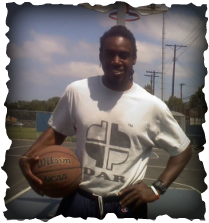 CEO/Commissioner of Pacific Rim Basketball League in Northern California. Also runs "Gut Fit Fitness Lab". Lucky is a hustler out there on the court and does all the intangibles. He played for the Menehunes when they participated in the Barons Basketball Tournament in Sacramento. 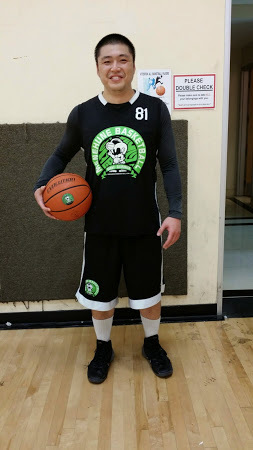 Look out for Lucky to make more appearances in more tournaments and a possible partnership with Menehune Basketball and Pacific Rim Basketball in the future. Winston joins the Menehune Basketball organization as a Menehune Jr. He is maturing into a better player everyday he practices with the team. Winston is making his debut season for Wilson High School this year, where he is a starting combo guard. Look out for Winston out there on the court as he helps lead his team. Winston is teaching his brother Bennet the game of basketball as well. Winston father Fred helps with the score clocks during the practices while Ella spoils the team with her yummy desserts. Winston is going to be the future guard for the Menehunes team. Steven, a coach at Rowland Heights High School boys basketball, brings his basketball knowledge to the Menehunes. His leadership on the court is huge for the Menehunes success. 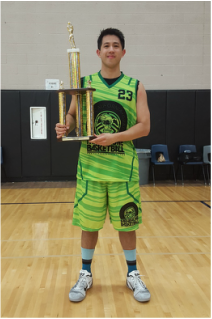 Steven isn't afraid to step up and hit a big shot as he shown in the championship game of the 2013 Tumakbo Tournament, by hitting the game winning 3 pointer in the championship game. We are glad to add Steven to the Menehune Ohana. Justin is one of the nicest guys on this team. He brings a positive attitude every time he steps on the court. Justin can play pretty much every position out there on the court. He can shot the jump shot as well as play inside. 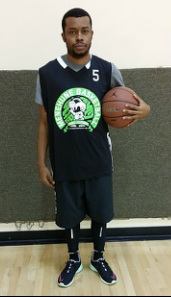 Justin is a great pick up for the Menehunes and its shown by his versatility out there on the court. We are happy to have Justin join the Menehunes Ohana! 2015 ABCNA Open division runners up. Jefferson came out of retirement to join the Menehunes Ohana. Jeff is known as an inside force. He hits the boards hard but has a soft touch inside and can also hit that mid-range jump shots. Jeff brings a positive spirit to the team which helps the team feeds off of him. Jeff will be running on the up coming tournaments and leagues. Allen Chen brings an inside presence to the Menehunes front line. He is an excellent passer but can score the ball in the post. His basketball IQ is great and fits in well with the Menehunes system. Allen is a great team player that plays a key role in the Menehunes tournament teams. Allen is a great addition to the Menehunes Ohana. Look out for Allen out there on the court! Allen will go down in history as Dr. Jimmy Miyasaka's very first patient as a licensed optometrist! Victor is a great fit for the Menehunes system. He is a combo guard that can really stretch the floor. He can also finish on the drive. Victor plays on different divisions for Menehunes. He has a great basketball IQ and sets up his teammates really well out there on the court. Victor is a great addition to the Menehunes Ohana. Look out for him in upcoming tournaments and leagues. His resume will build up really quick. Victor still holds the teams record for the most Air Kobe 8 system shoes. He has almost every color that came out! 2015 Tigers Tournament 6th place. Justin brings an inside force to the Menehunes. He is improving in every tournament that he plays in. Justin has the potential to be a rebounding machine that can control the paint. He is a great and supportive teammate for the Menehunes. He also helps picks out the places we have team dinners at! Kevin is Mr do it all out there. He can shoot the 3 ball, post up, rebound, drive to the basket, and is a good defender in the paint. Kevin plays with passion and is a very supportive teammate. Kevin plays a key role in the Menehunes success and has won several championships with the Menehunes. He also brings out Kristin Oto and his mom to the games for support! We are very happy to have Kevin apart of the Menehunes Ohana! Jasper brings great size to the Menehunes team. He is a very unselfish player that plays great team basketball. He brings energy to the court. He hustles and does whatever it takes to win. Jasper is a great fit for the Menehunes style of play. We are very glad to have him as a part of the Menehunes ohana. He did not play basketball at the high school level. Instead, he was an aquatic athlete and played water polo for 4 years and swam for 3 (2 years for each sport at the varsity level). He was the Defensive MVP of his team and made both the All League and All CIF teams for water polo. In his final swim season, he was named Swimmer of the Year. He also played 2 seasons of junior college water polo (Citrus College 2001, Riverside Community College 2004). One of the Menehunes best defenders, Ray brings that veteran leadership to the team. Ray also has a nice touch from behind the arc. We are honored to have a player like Ray that does all the little things out there on the court. Ray can handle the ball well as well as set up his teammates. We are happy to have Ray as a part of the Menehunes Ohana. Danny helps the Menehunes by stretching the floor with his perimeter shooting. He is a great role player and a great teammate out there. His veteranship is key to our success out there. Danny fits in well as a great roll player We are glad to have Danny join the Menehune Ohana. Mike is one of the Menehunes biggest supporters. He is a practice player for the Menehunes and will participate on the open division tournaments or leagues. 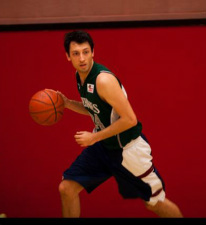 Mike is the Prime Time Basketball Association (www.MyPTBA.com) assist leader. He works and helps with player development for Menehune Basketball. 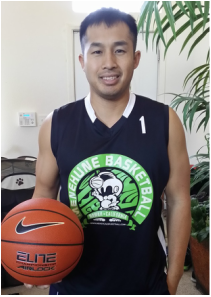 We are happy to have Mike as a part of the Menehune Basketball Ohana. Stephen is a great addition to the Menehunes Ohana. Stephen is an actor on TV shows. He brings great energy to the team and is a great teammate to be around. Stephen also plays on the Nakatani's with Jimmy Miyasaka. We are happy to have Stephen and Crsytal Chang to the Menehunes Ohana. Bryant is a hard working Center. He runs the court well and dominates the defensive and offensive board. He is a true team player and a great addition to the Menehune Franchise. He can score in the paint and also has a nice touch to score from the wing. Bryant is a versatile big man on the court and fits in well with the running offensive that the Menehunes play out there on the court. Bryant also took his skills into the 2010 Las Vegas Invitational tournament where he played a huge role for the "Nakatani's". Brant is an excellent teammate and does whatever it takes to win a ball game. A true team player that plays hard every possession on the court. Andrew Der, AKA "DER", is one of the Menehunes most versatile players. There isn't really anything he cannot do on the court. He has a nice shot, can drive in, and is one of the Menehunes best defenders. He does whatever it takes to win a ball game and plays his heart off on the court. We are very happy to have him part of the Menehune Ohana. Look out for "Der" in a Menehunes uniform this coming year. Han is a veteran point guard out there on the court. He played college ball and is a great addition to the Menehune Franchise. He has great leadership on the court and does a great job getting everyone involved. Han also has a nice shot from the outside and plays great defense. He is a tough guard that isn't afraid of anyone. Han was a great pick up for the Menehune Franchise. We are happy to have Mike, he has one of the purest 3point shots on the team. His style of play really fits in well for the Menehunes. He is tall and athletic, perfect for the Menehunes style of play. Mike is also a great team player. Paul is one of the purest shooters we have out there. He has a nice touch from the outside and can also post up on the inside. He plays a great role in spreading the defense with his shot. He is a great team player and can play multiple positions out there on the court. His nick name is the "Zone BUSTER!" Pierre is another player that has been part of many Menehune Championships. He is a sharp shooter and has unlimited range. When Pierre is out there, his job is to SHOOT! He fits in well into the Menehune style of play, and is a great teammate. He is also a veteran out there on the court. Pierre is a great pick up for this franchise. Reubon can play multiple positions out there on the court. He is a physical player on offense. He can handle the ball, drive, shoot, and post. Reubon has been a part of a few Menehune Championships. We are very fortunate to have a player like Reubon. He is a great teammate and a great basketball player. Reuben is becoming a major contributor for the Menehunes. He brings offensive scoring to the team. Reuben has a key role to this franchises. Richard is a very hard worker out there on the court. He works hard on defense and can shoot from the arc. He helps spread the floor with his deadly 3 point shot! Defense should not leave him alone out there because he will let it fly! Richard is a great person and a great teammate out there. He plays an important role out there on the court and is very supportive. We are very fortunate to have him part of the Menehune Franchise. John joins the Menehune Ohana. He met G.M. Jimmy at his family own restaurant Pepes. John brings his nice shot from the outside as well as size in the paint for defense. He is a hard worker on and off the court. John is making an impact to the team and battles hard for the rebounds. He is also a legend at the Brea 24hour fitness for dominating the court. Look out for John stroking those 3point shots for the Menehunes! Anthony is a hard worker out there on the court. He has won couple of ABA championships with the Menehunes Basketball team. He will guard guard and body up the other teams center and works hard on the boards. He is a great teammate to have and we were fortunate to have him on our Menehune Franchise Team. Matt is Menehunes most athletic player. He will one day be the franchise player for this team. He has many highlight moments with this team. Matt was a starter for the 2010 NCAA Division 2 National Champions Cal Poly Pomona. He will one day play professional ball somewhere. I guarantee it! 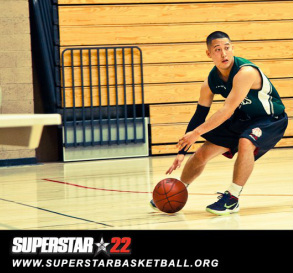 Matt has also played college ball with Jimmy Miyasaka at Cal Poly Pomona. Matt will bring defensive intensity to the team, he is also a very unselfish player. Does all the intangibles and does whatever it takes to win a ball game. Matt's confidence level is at an all time high. If the defense doesnt box him out then watch out! He is getting the tip in jam! Matt also has the ability to dribble the ball and create for others. We are happy to get him during the off season of college where he can work on his game to prepare him for the next season of college ball. Taiwan Center Basketball G.M. Currently ranked 5th in the country. Scott Holbert a.k.a. "Jimmy Stopper!" Scott's Goal is to play for the Golden State Warriors. He is an optometry classmate of Jimmy Miyasaka's. Scott has a nice touch from the outside and can be dominating in the post if he puts his mind to it. Scott's goal is to be a better shooter than Jimmy. But he dominates the court at Brea 24 Hour Fitness. Scott is one of the newer members of the Menehune Franchise. Scott will be a dominating force on the inside. He has great hands and can finish. We are very fortunate to have a talent like Scott. Scott is now known as our top free throw shooter on the Menehune basketball team. His question to Jimmy is... "Jimmy, why am I such a great free throw shooter?"... Jimmy's reply: thats because you shoot 100% from the line... Teams better watch out for Scott's sweet touch from the charity strike!!!! He proved it in his last game going 100% from the line!!! Anthony is a force to reckon with and is a great boost for the Menehunes! We are very fortunate to have Jarrod Carroll join our Menehune Ohana. Jarrod is an explosive scorer and can easily go for 35+ points a game. He's can drive, shoot, handle the ball, and hit the open guy. He can do it all! He is a hard worker out there and does what it takes to win. He is a true Asian Baller and is probably ranked top 5 in the country. Jarrod also plays in NAU where he was the MVP for the 2009 season. Jarrod also played with Jimmy, Bryant, and Billy on the Nakatani Team for LVI where he played an important role to the teams success. As soon as he steps on the court the opposing team better watch out! 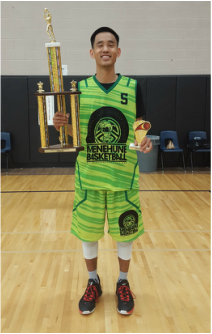 Jarrod is a great teammate and we are very fortunate to have him on the Menehune Basketball team. Jun was All-League at West Torrence High School, then took his game up to Cal State East Bay and played on there NCAA Mens College basketball Team. Background: 2 year varsity at West Torrence High School, and was 2nd team all Bay League. Mark has also brought his talents into the AA division for NAU. He with Jarrod Carroll lead Quicksilver to a 3 peat Championship run(2008,09,10). Mark was also a part of Yonsei. He now shares his skills and knowledge for the game by being an assistant coach at West Torrance High Schools Varsity Basketball team. He also coaches North/South Junior association on his spare time. What a blessing for Menehune to land such a humble knowledgeable basketball player. John joins the Menehunes and brings nothing but a positive attitude towards the game. He is look upon as a leader out there and can also play the game very well. He has a way of finding open people for open baskets and can knock down the 3pt shot. John comes from an Asian Basketball POWER HOUSE team in the country. He is the coach of Wooree Litech or now known as BlueCanvas (New Sponsor). We are truly happy and honored to have a person with a great basketball IQ, and a great person as a whole. What a great pick up for Menehune Basketball. Justin can flat out shoot the ball! As soon as he step foot on the court he is looking to shoot. Justin is one of the most humblest guys out there on the court. Justin is the founder and owner of BLUECANVAS.com. He was very generous to be the new sponsor of Wooree Litech. Wooree is one of the top 3 Asian Club teams in the country. Justin has crazy art skills as a professional painter and artist. We are very fortunate to have someone with his talent on and off the court. But Justin is a great teammate and person as a whole. Menehunes cant be more happy to have someone like Justin. Don't be surprise to see Justin hit 10 3pointers in a game this season on the court! Antonio Hood, AKA "DAR", has been a great addition to the Menehunes Ohana. 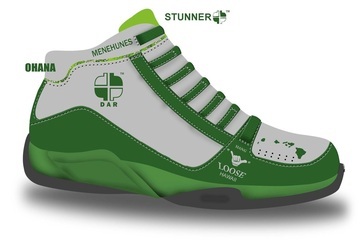 Antonio's role for the Menehunes is design a shoe for the Menehune Basketball team. One of the original players who was a part of every championship team. Billy runs the show out there on the court. He was a former Point guard at Cal Poly Pomona. 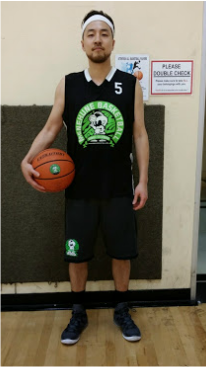 Now he is taking his skills into Los Angeles College of Chiropractic and will be a doctor in 2013.He plans to work on his low post game to be a more versatile player on the court. He and Jimmy both play college ball together at Cal Poly Pomona. Billy won numerous of championships with Jimmy over the years of his Asian Basketball career. 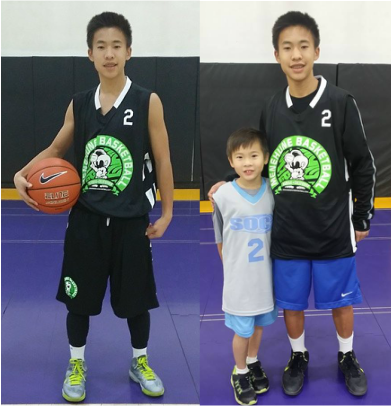 Billy also plays for Taiwan Center Basketball which is also one of the top Asian Club teams in the country. He also plays for Nakatani's for LVI and the NAU season. Billy is a captain on the Menehune Team. He is the most unselfish player on the court and with his leadership out there, the Menehune Basketball Team will be in good hands. 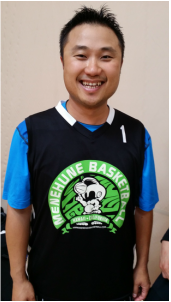 Menehune Basketball is opening up there team to play in Non-Asian leagues. Larry Gordon, a former Cal Poly Pomona Bronco, played all 4 years with G.M. Jimmy Miyasaka. "LG" was a 2009 Division 2 All-American Selection; 2009 Elite-Eight All-Tournament Team ; 2009 Div 2 West Region Player of the year; 2008, 2007 All-West Region team; 2009 CCAA conference player of the year; 2009, 2008, 2007 CCAA All conference team, and 2006 CCAA Conference Rookie of the year. At Cal Poly Pomona "LG" became the All-Time leading Rebounder in Cal Poly Pomona History and the Second All-Time leading Scorer. He is also one of the only players in History to rank in the Top 5 in Career Point, Rebounds, Field goals made, Free Throws made, steals and games played. After college “LG” played professionally for 2 years now. His first year he competed in the Netherlands top Dutch Euro basketball league with Landstede Zwolle (also got G.M. Jimmy Miyasaka a game ball! 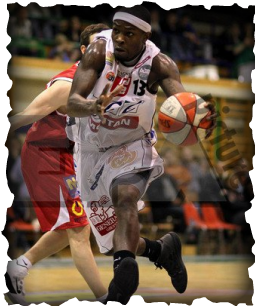 ), and his second year he played in Austria in there top Austrian Euro Basketball League, with Kapfenberg Bulls. LG competed in various Pro-combines and NBDL tryouts as well, but we all want to see LG in the NBA one day! "J.R" (Jay-are) joins the Menehunes after having a successful college career. He was a California Junior College Champion with Citrus College in Glendora, CA. Was selected first team all-conference and first team all-state in 2008 at Citrus College. Then J.R. took his talent to BYU-Hawaii and took the Seasiders to two NCAA West Regional Championship games. J.R. was also selected first team Pac West Conference for those years. He was the teams point guard and lead his team with his leadership on the court. We have an important piece to the puzzle in making this Menehune Franchise into a better one! Menehunes basketball team is a way to network also. 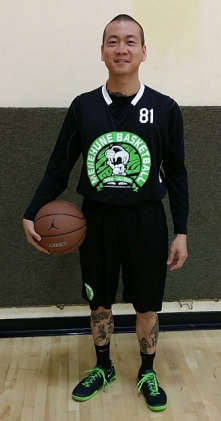 We love to have players from other countries to be a part of of the Menehune Franchise. Tobias Jahn verbally commits to the Menehune Franchise. He is a National Champion from the 2010 Cal Poly Pomona Men's Basketball team. He will be a dominating force on the inside. His European experience makes him very versatile. He has a nice touch from the outside and plays really hard. He was a teammate of Jimmy's at Cal Poly Pomona. We are very fortunate to have Tobias as a part of our Menehune Ohana. 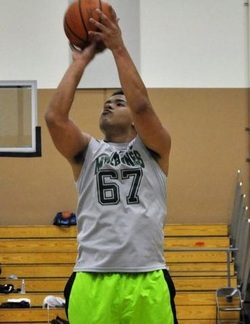 Tobias will be playing on Menehune's OPEN Division team. Menenhune Basketball Team Players from HAWAII. We bring up guys from Hawaii to various tournaments to keep that ALOHA spirit on the team. Jimmy Miyasaka is the founder for this team and wants to represent Hawaii as much as he can. But he wants to mix his players from California with his Hawaii ones to form a network of MENEHUNE BALLERS! Chris was a standout at Mid Pacific Institute in the Interscholastic Association High School Private school league in Hawaii. Chris took his talents to NAIA Concordia in Portland Oregon. 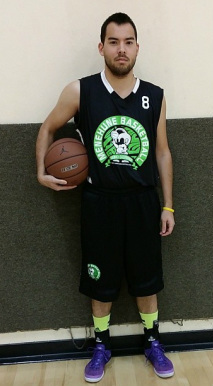 Chris, a crafty point guard is going to join the Menehunes in the LVI-Tournament. He can shoot the 3-ball as well as distribute the ball to his teammates. 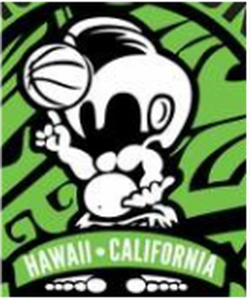 Chris is excited to be part of this franchise will be one of the import players out of Hawaii for the mainland tournaments. "Tuni" another standout at Mid Pacific Institute High School, was in the same graduating year(2004) as G.M. Jimmy Miyasaka. Tuni is an offensive threat on the break and can finish coast to coast. Tuni is also a defensive stopper and will be a great fit for the Menehunes with his versatility. He also has a good shot from the outside and is a very good and unselfish teammate that does whatever it takes to win. Tuni will be joining the Menehunes with Chris Hoe for the LVI-Tournament. 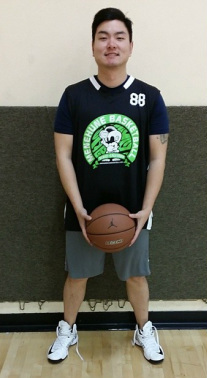 Phillip is one of the team captains for this Menehune Franchise. He plays sparingly out there on the court. He can play multiple positions out there on the court. He can shoot and drive in but dominates the boards. He will guard the other teams center and box him out for the rebounds. He is also a coach out there when Jimmy (his brother) isn't there. Marc came up to California for the 2010 Tigers Tournament and helped Menehunes to win the Mens A-Bronze division. He was one of the hardest working big men that they had and was selected on the All-Tournament team. He went for a double-double every game he played. He was one inside force to reckon with. He is also a contender for having the most Air Jordan shoes in this Franchise. 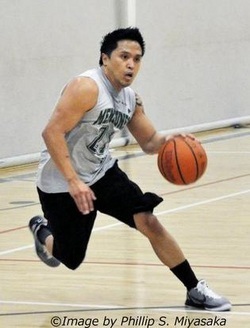 He dominates the Hawaii 6ft and under leagues at Manoa Recreation Center. We are happy to have Marc join this franchise. Nick has been the dominating center that Menehunes had. He was a part of couple of the championships. He is now in Hawaii coach for the University of Hawaii Men's basketball team. That is Jimmy's favorite Div 1 team now that Nick is coaching there. We are going to miss him in California but maybe he can come out for a few tournaments sometime. But once the Menehunes basketball team moves to Hawaii then Nick will rejoin the franchise. 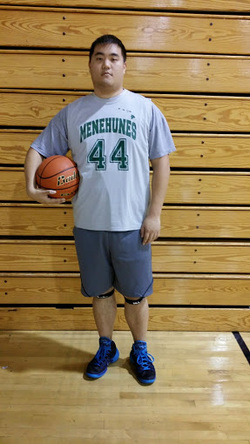 Jimmy Miyasaka goal is to make this Menehune Franchise team competitive to contend for league or tournament championships. Jimmy played NCAA Division 2 basketball at Cal Poly Pomona and was part of the 2009 NCAA West Regional Championship(Defeated BYU Hawaii @ Hawaii) and was the 2009 NCAA Division 2 National Runners up. Jimmy graduated from Western University Of Health Sciences College of Optometry in Pomona California with his Doctors of Optometry Degree and was the class president while he was there. He is currently an Associate Optometrist at Eric J. Kawata, OD, INC in Anaheim, SEE 20/20 Santa Ana CA, Laguna Heights Optometry in Laguna Niguel, and James K. Miyasaka, O.D, Inc. in City of Industry CA.. If you need an eye exam? Eric J. Kawata, O.D., Inc.
Jimmy is also a captain on Taiwan Center Basketball team, which is another power house Asian Club team. He also plays for the "Nakatani's" for NAU and the Las Vegas Invitational tournament. 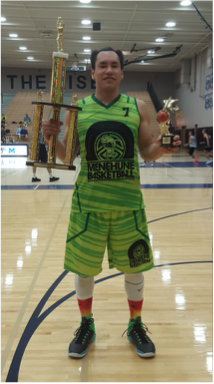 When Jimmy isn't playing for his Menehune Basketball team he is playing for Arcadia Alumni in various tournaments and leagues. Total of 38 Championships with the Menehunes. 2011 Tigers Tournament played for Taiwan Center, Consolation Champs.